How is it that the online retail industry is in such a sorry state in Australia that our large, traditional retailers like Myer, Harvey Norman and Target are lobbying the Australian government for protection against overseas retailers? Why is it that we can't buy a TV from the Harvey Norman website or have an experience on the Myer website that's on par with department store websites in the US or UK? There are a number of historical reasons for this. Back in the 1980's and 1990's significant mail order businesses were launched in the US and UK. Customers would browse catalogues then call a mail order business to place an order which would be delivered to them at home, an experience similar to shopping online. With the growth of online retail in the late 1990's and particularly the 2000's, US and UK customers easily made the transition from shopping in catalogues to the much more interactive experience of shopping online. These mail order businesses never really developed in Australia, so it's been a more difficult task for Australian retailers to train Australian customers online. Many of Australia's large retailers were burnt in the Dotcom boom and subsequent bust. Online retail was touted as the future of retailing and many Australian retailers invested millions of dollars in their online stores only to find that customers weren't ready to shop online. After the bust it became nearly impossible to pitch an online strategy to senior managers and board members at large Australian retailers without being laughed out of the meeting, so Australian retailers went the other way and invested very little in their online stores. Traditional US retailers like Best Buy and Walmart continued to invest in their online stores despite the bust and are now reaping the benefits. Online upstarts like US based Amazon and UK based Net-a-Porter and ASOS have grown to become major players in the retail landscape leaving Australian retailers far behind. Delivery costs to ship goods purchased online in Australia are much higher than in countries like the US or UK. In addition to charging higher rates Australia Post contractors card inner city customers so they have to collect their online purchases from the post office, a terrible shopping experience. At Shoes of Prey we've had to resort to using the German courier company DHL to deliver our shoes to Australian customers. Banks leave a lot to be desired in how they offer merchant facilities to online retailers. NAB is the only Australian bank to offer a multi-currency facility which allows Australian retailers to charge overseas customers in their local currency. The software, processes and the time involved to set up the NAB facility are so bad that at Shoes of Prey we use the US firm PayPal to process all of our online transactions. If we want a strong online retail industry in Australia we need strong supporting industries which we lack at the moment. The Australian retail landscape is dominated by a small number of large players. Two retailers, Woolworths and Coles dominate grocery. Two retailers, Myer and David Jones are our only significant department stores. While there are more electrical goods retailers, Harvey Norman dominate the prime retail sites around the country. In contrast, in the US and UK markets there are a large number of companies in each of these categories. Greater competition leads to greater innovation. To differentiate themselves from all the other electrical goods retailers BestBuy in the US had to learn to market and sell online which they are doing successfully in innovative ways. 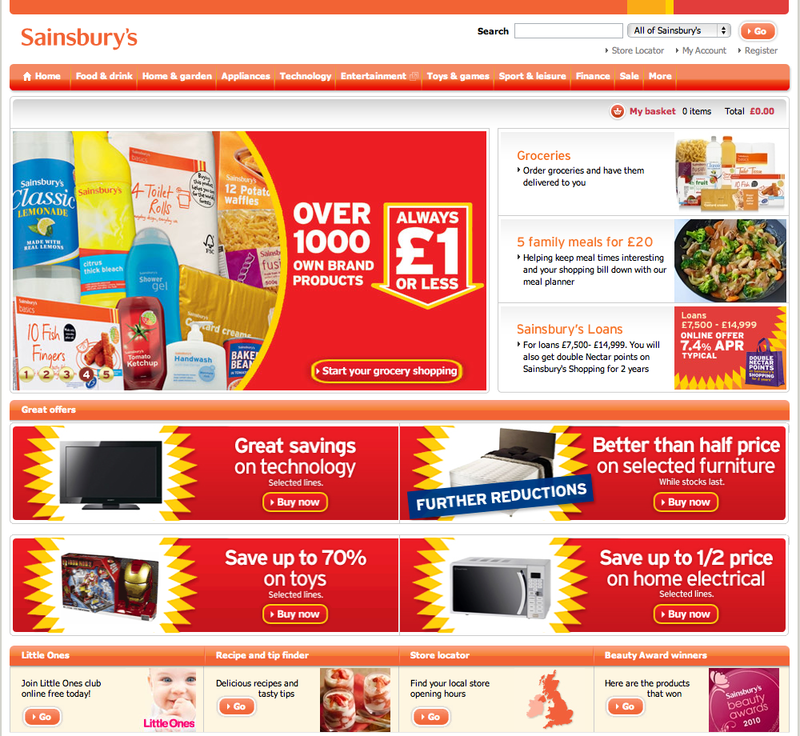 To compete with all the other grocery chains in the UK, Sainsbury's have developed a fantastic online store which now makes up a significant and growing proportion of their sales. While the current situation is less than ideal, there's hope for online retail in Australia. We have an innovative, hard working culture and when we put our minds to it we can be very competitive internationally. Australian online retailers like Kogan and Catch of the Day have managed to build strong, international online retail businesses. 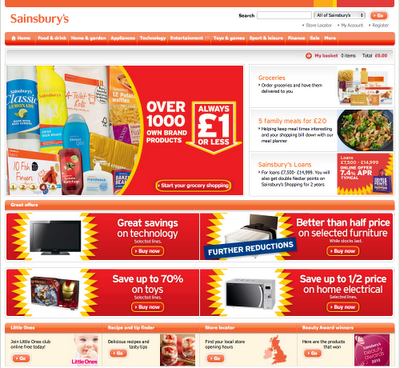 DealsDirect and OO.com.au have established very successful businesses domestically. JB Hi-Fi, BigW and Supecheap Auto have excellent online stores and Westfield have recently launched an online shopping mall. What we need now is for the likes of Myer, Harvey Norman and Target to stop looking at online retail as a threat, and instead focus on innovating in the space. Let's grow the industry so that Australian consumers can have a great online shopping experience and so that Australian retail jobs remain in Australia. Wouldn't it be fantastic if the next Amazon or ASOS was an Australian business? Bravo Michael! I'm exactly on the same page as you and your business. Do we have an industry body for our voice in the media? It's public perceptions that have to be swayed here. I'm sick to death of putting up with Gerry Harvey preaching his dinosaur retail strategy. Bravo to Kogan and Deals Direct et al. Thanks Hilary. There's no stand out Australian online retail industry body at this stage, but websites like www.powerretail.com.au and www.insideretailing.com.au both provided excellent coverage of the issue and leant towards the same view as us. also, our customer service that supports online retail isn't that great. i'm going to write a blog post about this =) i would like to see a Zappos type retailer here. A retailer that provides a WOW service. I've yet to see that. mate that sounds like a fantastic business opportunity right there. In particular i see the gap being with the support services for the big incumbents - ie how will coles + woolies deliver their goods? we need to fill that gap stat.